Incorporate these popular compound moves into your training mix to add size and power. When it comes to adding muscle mass there are many ways to get the job done. One of the best ways to pack on more size is to push your body to the limit with a combination of compound exercises that hit a variety of large muscle groups. Unless you're big on CrossFit, chances are you’re not getting a healthy dose of compound moves in your regular workout program. 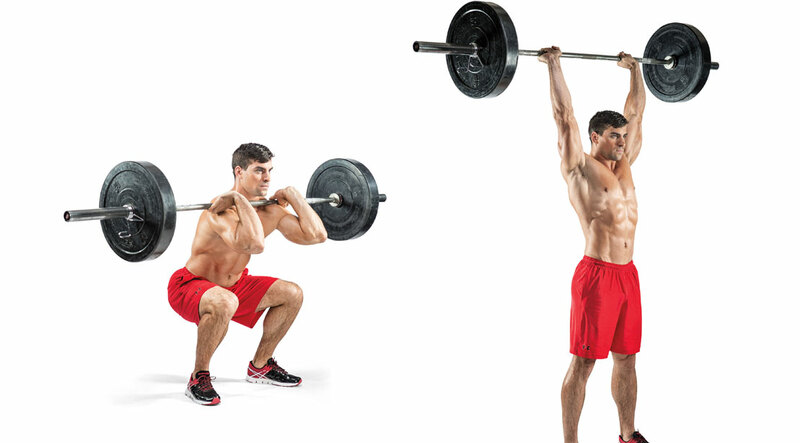 The following two compound exercises target multiple muscle groups for a full-body thrashing. If trying these exercises for the first time, start off with light weight until you feel more comfortable mastering the move. Set up an Olympic bar with your desired weight. 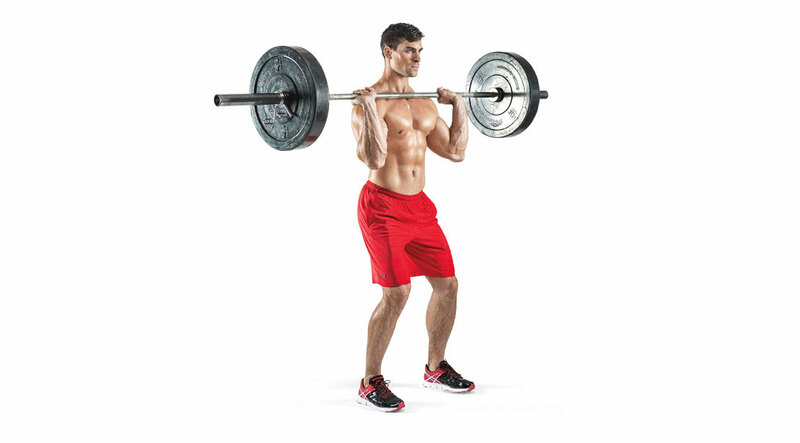 Clean the bar up to your shoulders. Do this by extending through the legs and hips as you pull the bar up toward your shoulders. Then begin to squat by flexing your hips and knees, lowering your hips between your legs. At the bottom, reverse direction and squat by extending your knees and hips, driving through your heels. As you do so, press the bar overhead by extending your arms straight up, using the momentum from the squat to help drive the weight upward. With the barbell positioned on the floor, take a grip just outside the legs. Lower your hips with the weight focused on the heels, back straight, head facing forward, chest up, and shoulders just in front of the bar. Begin the first pull by driving through the heels, extending your knees. Your back angle should stay the same, and your arms should remain straight. As the bar approaches the mid-thigh position, begin extending through the hips. In a jumping motion, accelerate by extending the hips, knees, and ankles, using speed to move the bar upward. At the end of the second pull, the body should be fully extended, leaning slightly back, with the arms still extended. As full extension is achieved, transition into the third pull by aggressively shrugging and flexing the arms with the elbows up and out. At peak extension, pull yourself under the bar far enough that it can be racked onto the shoulders, rotating your elbows under the bar as you do so, with the hands relaxed. Recover by driving through the heels, keeping the torso upright and elbows up. Continue until you have risen to a standing position, and complete the repetition by returning the weight to the floor.